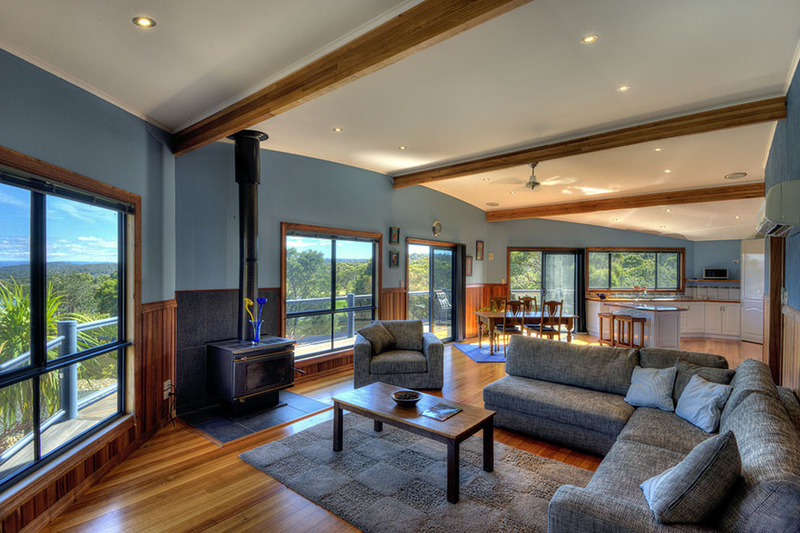 Mayakitana is a fabulous house in an elevated sun drenched position overlooking the golf course and distant forest. 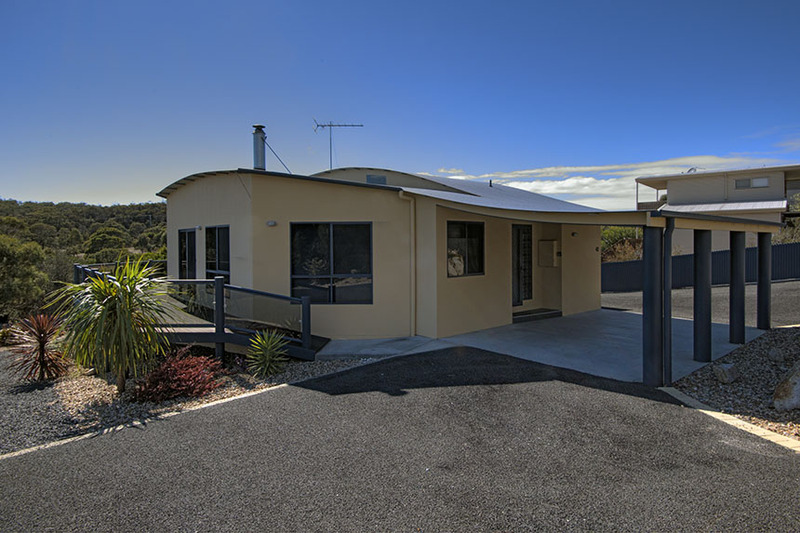 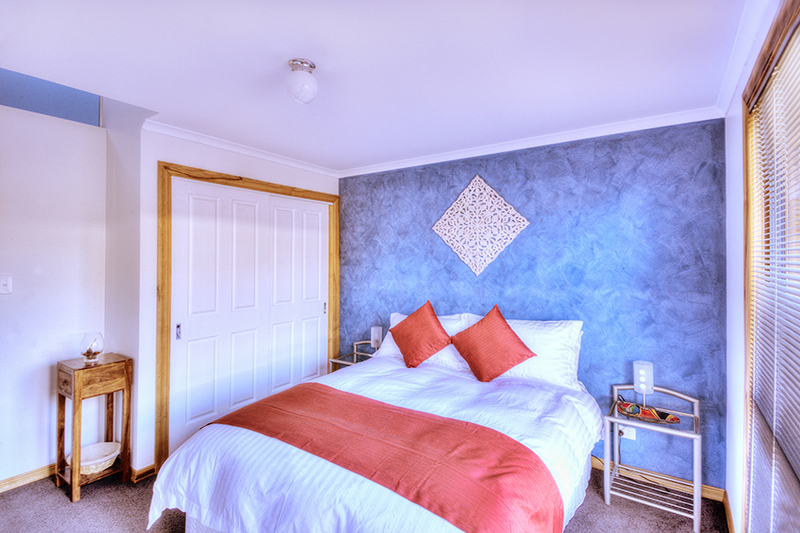 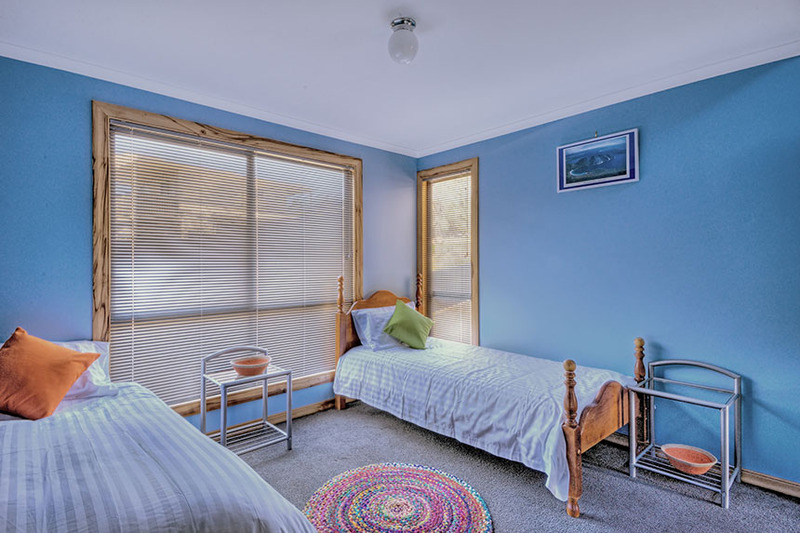 Set opposite the beach access track, you are a 5 minute walk to a safe swimming, surfing and fishing beach and a 5 minute walk to the golf course. 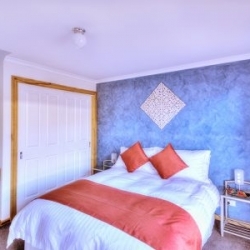 This holiday house has 3 spacious bedrooms and 2 bathrooms. 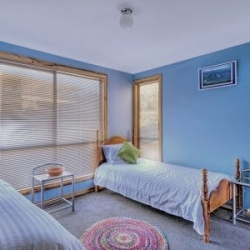 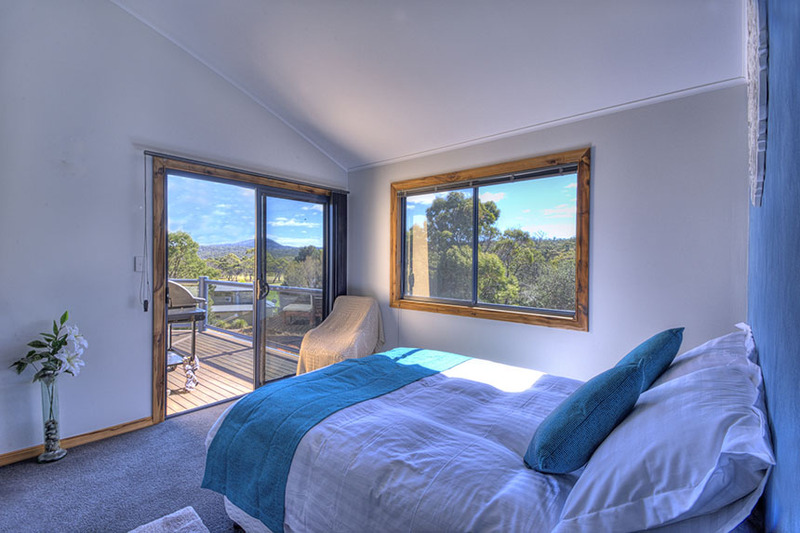 The main bedroom opens out onto the deck and has a lovely view of trees and the golf course. 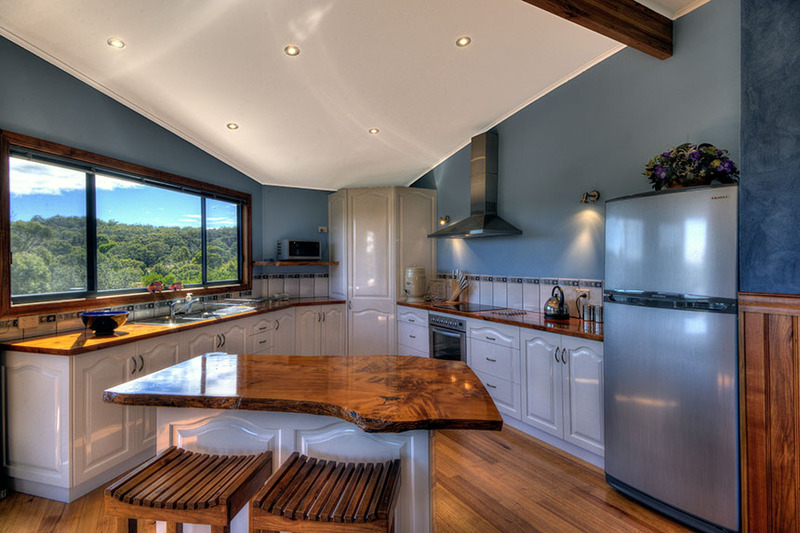 The kitchen is fully equipped with everything you need to prepare meals in the comfort of this house. 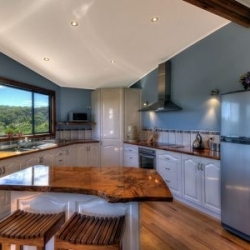 There are stunning local Tasmania timber features throughout this house, including beautiful Myrtle bench tops, window frames and hardwood floors. 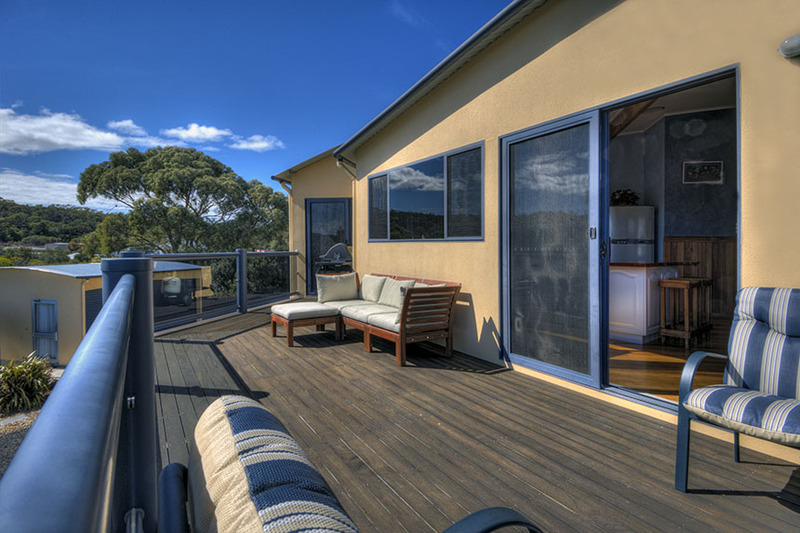 There is a large veranda with outdoor furniture and BBQ so you can sit relax and listen to the peaceful sounds surrounding this quite location. 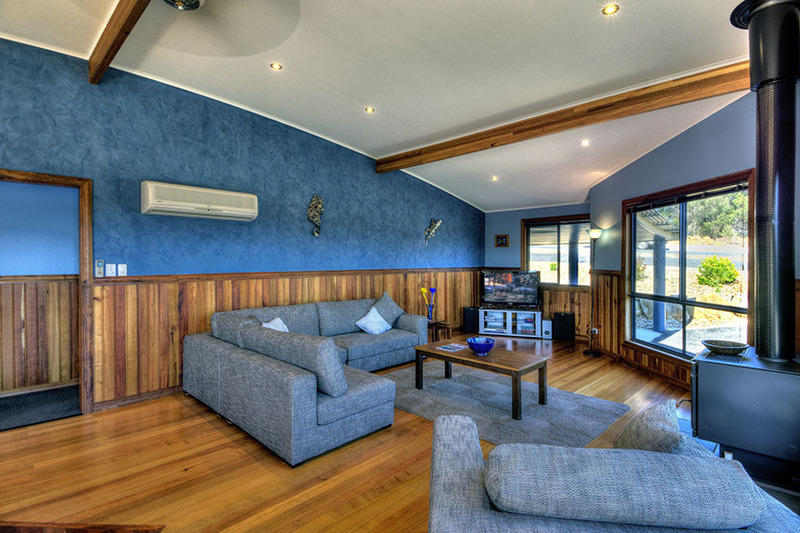 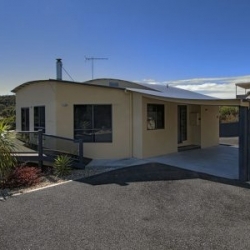 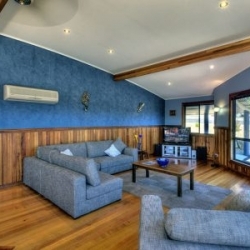 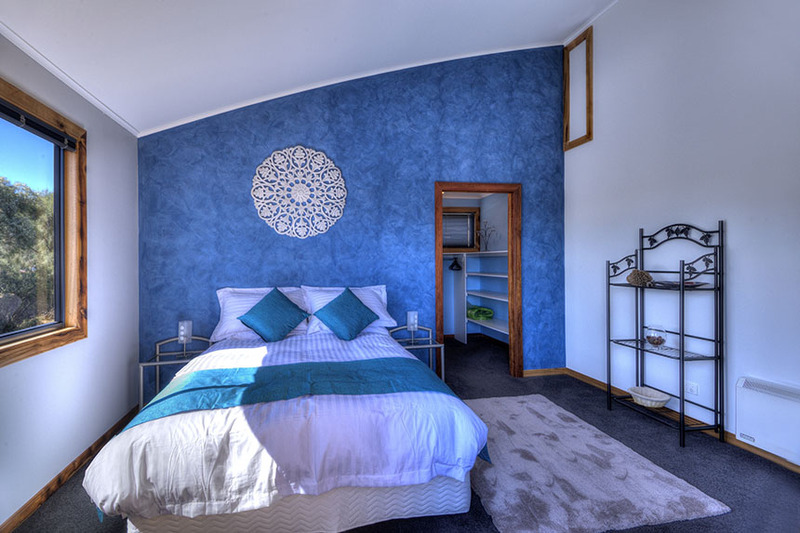 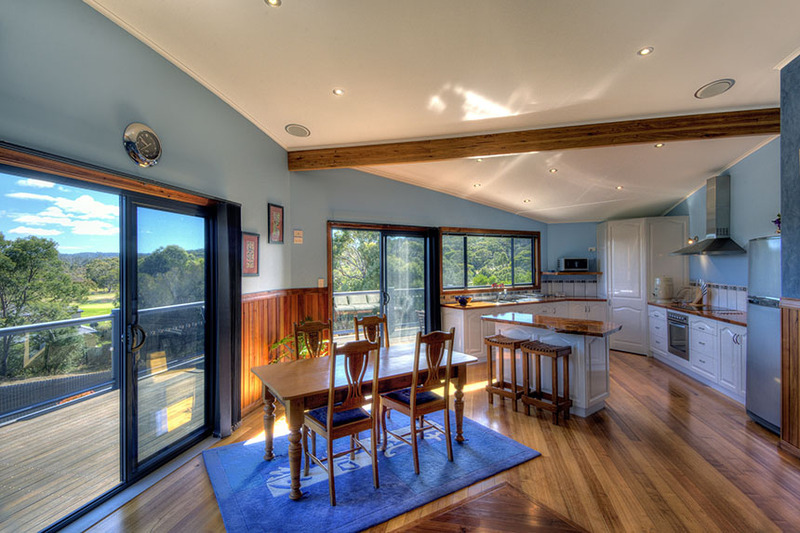 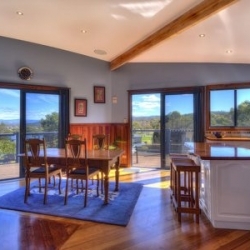 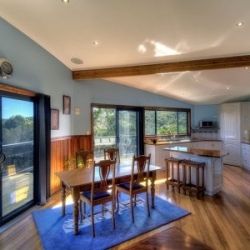 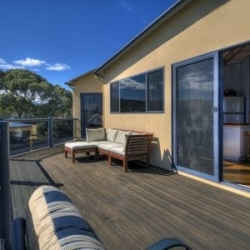 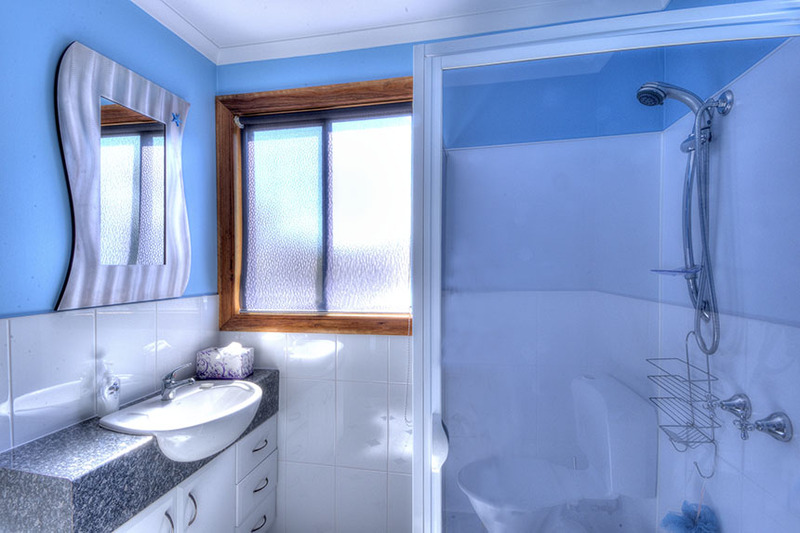 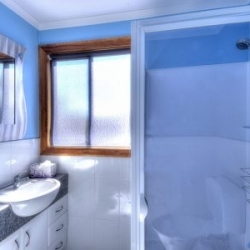 Perfect for couples, families and friends to experience this amazing location of Coles Bay. 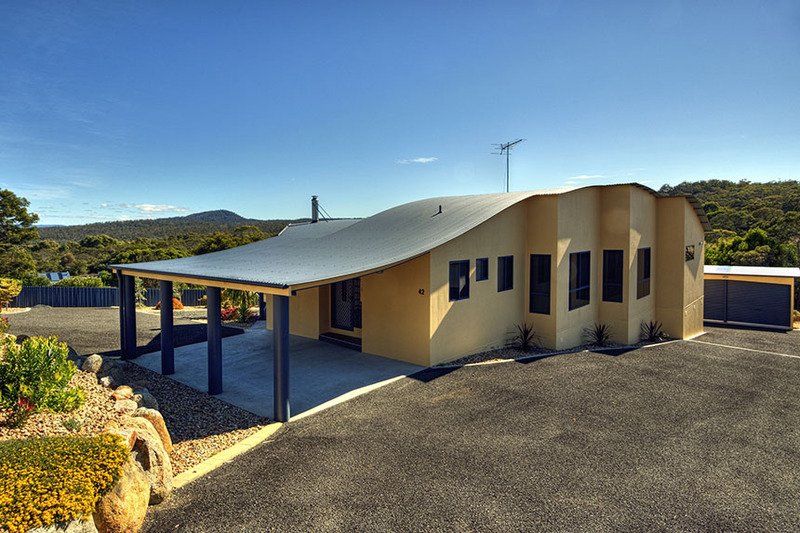 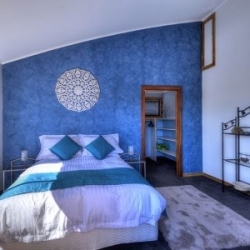 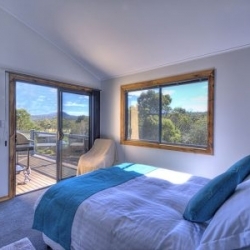 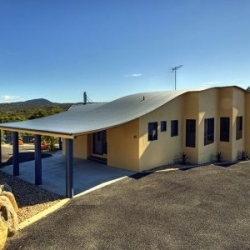 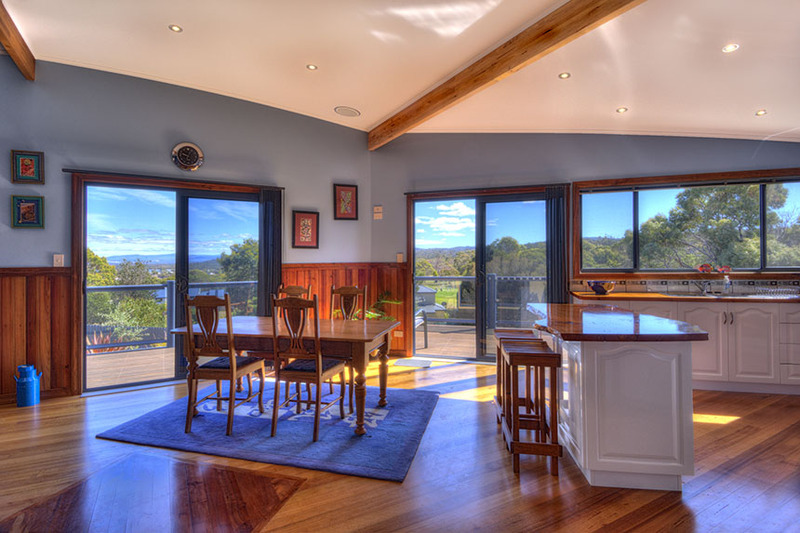 This house is a short drive to the Freycinet Marine Farm and around a 7 minute drive into Coles Bay and the Freycinet National Park……home of Wineglass Bay.